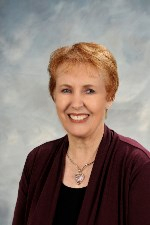 Colleen is an estate planning attorney and has lived in Oceanside since 1962. She is the founder of the Women’s Resource Center, which opened in 1974. Colleen has also served as Oceanside Chamber of Commerce President (1985) and an Oceanside City Council member (1992 – 2000). Other boards she has served on include Oceanside Museum of Art, North County Philanthropy Council and Hospice of the North Coast. Colleen’s two daughters live in Oceanside where eight of her twelve grandchildren also live. Colleen has been a staunch supporter of Tri City Hospital since her daughter was born there in 1967.